An electromagnetic pulse (EMP) attack is a threat few Americans are familiar with, yet one which could easily destroy their lives. What would you do if your electricity suddenly went out and didn't come back on for months or even years? How long would you last with the food in your pantry, the bottled water you have shelved, and your net worth reduced to the cash in your pocket? These are the factual consequences of EMP attack. A single EMP attack could disable all modern electronics in the United States, eliminating communications, food, water, transportation, medicine distribution, and our financial system. Experts from the Department of Homeland Security (DHS) and the US Department of Defense (DOD) have told a House Homeland Security subcommittee that Defense systems that depend on the commercial electric grid are vulnerable to electromagnetic pulse attacks and solar storms that could seriously damage the nation’s infrastructure. U.S. power grids and other civilian infrastructure are not prepared for electromagnetic pulses that could result from weapons or violent space weather. Major military weapons systems and nuclear assets are hardened against EMP events, but “DOD is heavily dependent on the commercial electric grid. 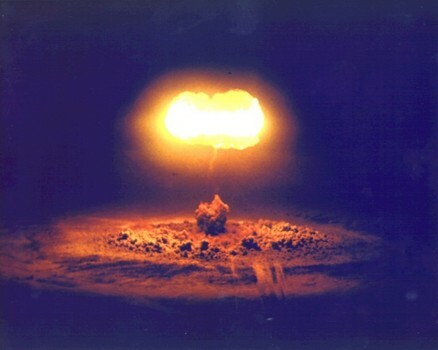 “Our civilian grid, which the Defense Department relies upon for 99 percent of its electricity needs, is vulnerable to these kinds of dangers,” EMP disruptions and attacks can be triggered by various events, including high-altitude or low-altitude nuclear weapons detonations, locally based radio frequency weapons, and solar weather. Brandon Wales, of the Homeland Security Department’s National Protection and Programs Directorate, said “DHS has pursued a deeper understanding of the EMP threat, as well as its potential impacts, effective mitigation strategies, and a greater level of public awareness and readiness in cooperation with other federal agencies and private equipment and system owners and operators through various communications channels,”. Recently The London Sunday Times reported that Israel might attack Iran by using electromagnetic pulses (EMP) that could cripple the country by shutting down its electronics and sending the Islamic Republic “back to the Stone Age". Report claims that the possible use of such a weapon has been raised in several quarters as a debate rages among Israel’s politicians about whether a swift strike should be launched against Iran's nuclear facilities. A solution to this problem could lie in the next-generation microgrids that enable local power generation and storage.